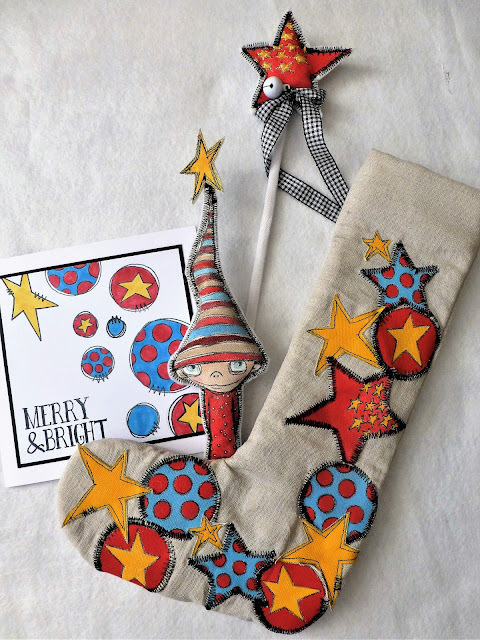 Bright and bold from Lauren with Tracy Scott elements and Zinski treats - those adorable little people sneak into Lauren's stocking! I have so many favourite things we'd be here all day if I listed them but here are just a few. 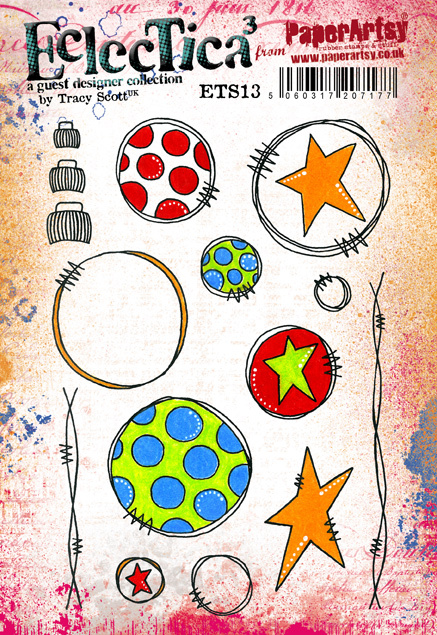 I love anything that stretches the ways I can use my stamps. Home decor is a real passion of mine and if I can recycle or re-purpose something so much the better. My favourite products are multi-taskers and Fresco Finish Paints are most certainly on my list of favourites there. 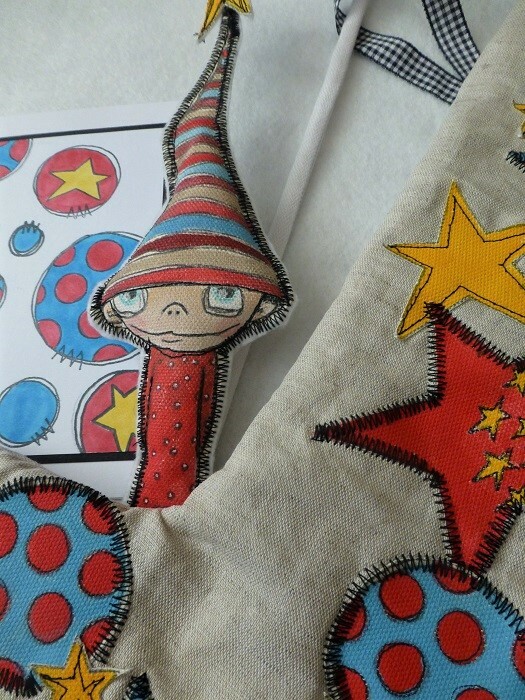 The paints can be used on card, fabric and even outdoors on porous AND non-porous surfaces. They are true multi-taskers and that means they are usually just what I need for whatever hair brained scheme I come up with. Perfect! 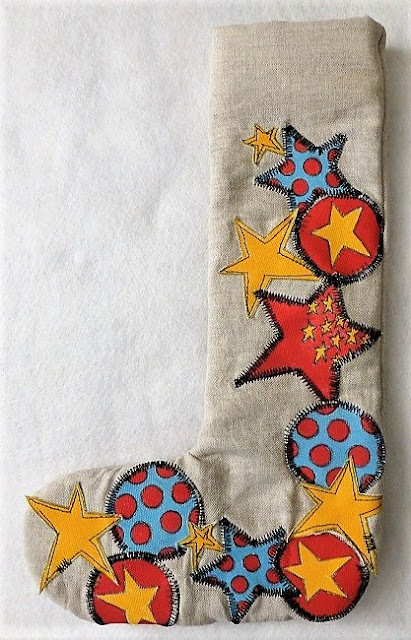 Don't they look cute poking out the top of the stocking. A little candy cane would look good tucked in there too. Obviously I needed a card to go with this little gift.... Large sentiment stamps can drown out a small image so Tracey's big bold designs really stand up to the very striking Ranger sentiment I've used here. All my pieces are merry and bright so it seemed to fit perfectly. 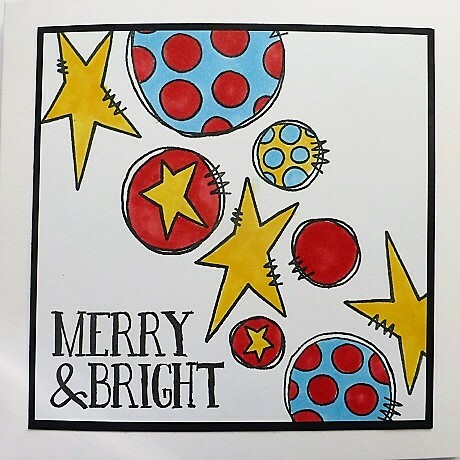 The bright baubles and stars strewn across the card really shine. I love them! 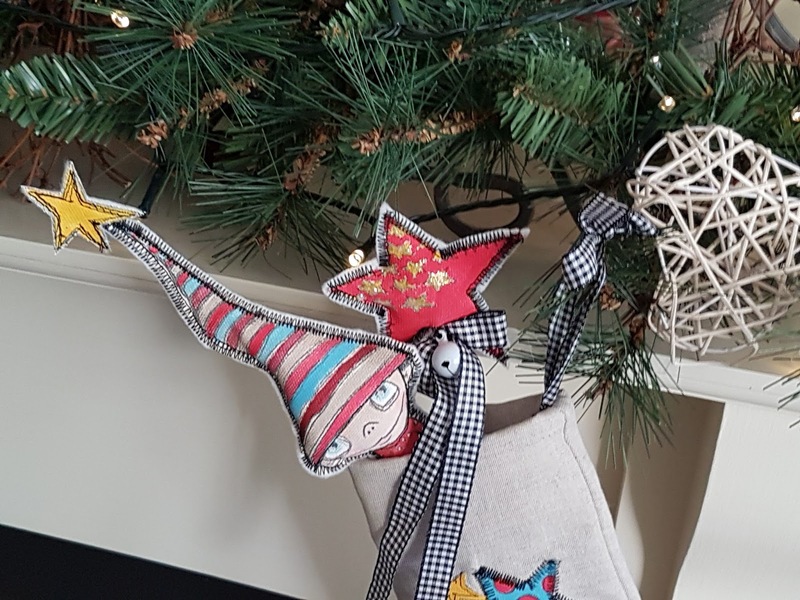 Another of my favourite things ticked off the very long list; a whole heap of projects from just two stamp sets using a few scraps of fabric, a bit of imagination and my favourite designs and paints. I think they look great and I enjoyed myself no end. 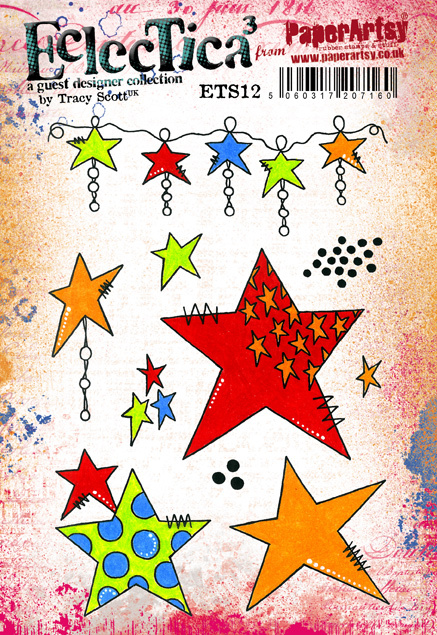 I love making all kinds of things and I want to make a star garland next with these stamps. (I will probably do this over the Christmas break if I get some time. Now it's in my head, it's got to be done!). So all that leaves for me to do is wish you all a wonderful Christmas and New Year and thank all the PaperArtsy gang for their hard work and imagination. But for that we would all have nothing to play with would we. Thanks for your time and encouragement everybody. I'm so looking forward to seeing you all again in the New Year when we'll have even MORE fun stuff to tempt you. Just WAIT 'til you see!!!! Loving the stocking with those stars and circles - fantastic idea ! 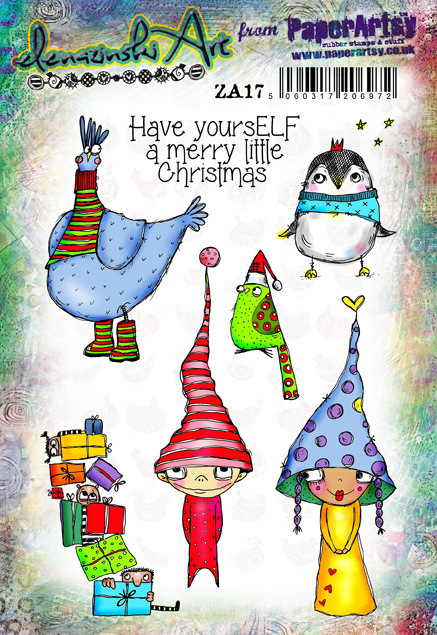 the card is gorgeous and so to the Elf... Have a great Christmas! I love all of these, they're gorgeous! How cute is that ! Fantastic ! These are wonderful Lauren - totally adore them! Hair-brained....you Lauren.......never! 😬 Absolutely love the fun and joy that you have put into your creations. They are now my faves too! Oh I do love what you've made here Lauren. These are great fun and absolutely my cup of tea! Brilliant on fabric and lovely bright colours. Christmas done well! This is AMAZING! I have never thought to make something like this with stamps but I adore it. Thank you for the inspiration. What fun!!! 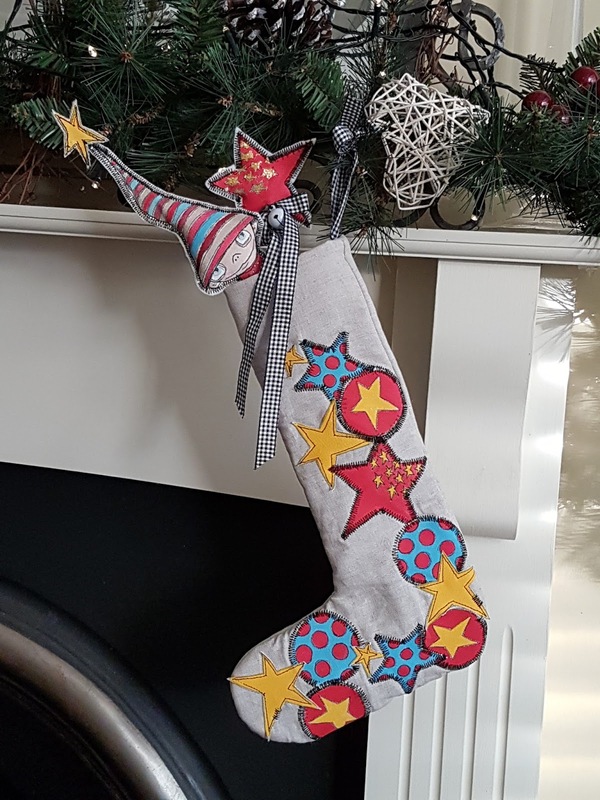 Love your stocking!!! Fab fun projects Lauren! 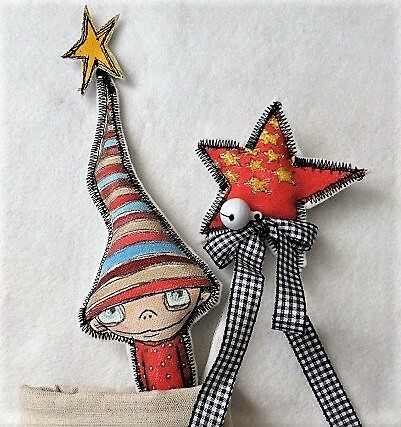 The little elf with his star hat is so cute and I love the magic wand. Ridiculously good ideA!LOVE THIS PROJECT!